The iSpectrum Serious Game is a result of two years work by a consortium that included Coventry University’s Serious Games Institute (SGI), and was funded through the European Commission's Lifelong Learning Programme. Developed by Imaginary, iSpectrum simulates a job interview and the first day at work, allowing players to familiarize themselves with certain possible situations in a variety of work environments. Users are able to learn, understand and act out different social roles as an employee and carry out a series of tasks to develop employability and social interaction skills. "The beauty of this game is that it addresses an issue that is affecting more and more people around the world. It highlights not only the challenge for individuals on the spectrum in finding employment, but also for employers to integrate people with unique skills into their companies. Hopefully projects such as iSpectrum can start to bridge this gap, developing skills and understanding on both sides." Research shows that the percentage of employed people on the spectrum is very low in the UK, Germany, Italy and Bulgaria. The identified reasons for this were poor communication skills, but also employers having little knowledge about the advantages of having an employee on the spectrum. The game is designed for the end users and for the VETPROS working with them, as well as for potential employers to increase their understanding of the problem. The Serious Game gives players the opportunity to experience three different jobs. Once they have selected a job, they can move on to complete a series of tasks. Placement office - players meet their employment advisor who explains each job to them and gives some general employment advice. They can choose from Office Administrator, Supermarket Worker, or Commercial Gardener. Interview –players meet their new boss and the buddy that will help them throughout the experience. The Job - players face different situations typical to the chosen environment and are asked to complete associated tasks. All of them have been developed in close cooperation with psychologists, vocational trainers, Autism practitioners and people on the Autism spectrum in order to ensure the environment and tasks are relevant and challenging as the player moves through the levels. Upon completion of the game, players can go back and try a different work environment with a new set of challenges. You can try the game yourself here iSpectrum. Imaginary was founded in 2004, after winning the Start Cup prize sponsored by Regione Lombardia and Politecnico di Milano. 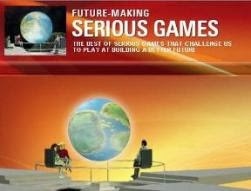 The idea they presented was the use Serious Games for corporate training, marketing and social communication. Research and innovation have always been at the heart of Imaginary activities and are an essential part of the company’s ethos. 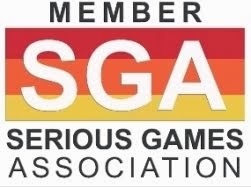 It is with this philosophy and attitude that the company actively participates in several research projects at an international level, collaborating with Serious Games Market main players. These research projects have given Imaginary the opportunity to establish collaborative relationships with different key stakeholders working in the same field.